In preparation for Easter Sunday, Pope Francis decided today to highlight the worth and dignity of disabled people — including washing the feet of 12 disabled patients at a care center. At the Don Gnocchi Centre in Rome, the leader of the Catholic Church washed the feet of 12 people in a ceremony hearkening back to the number if disciples Jesus had. 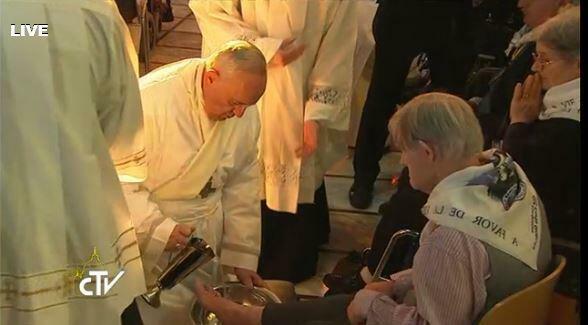 He and the elderly and disabled people celebrate the “In Coena Domini Mass” together before he washed their feet in a gesture of humility, recognition and respect. 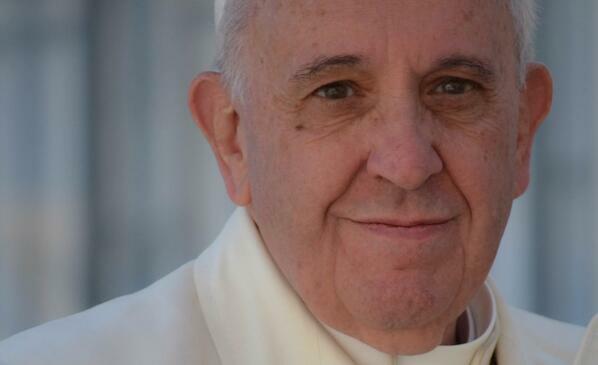 Silvia Stefanoni, Deputy CEO and Director of Policy and Programmes at HelpAge International told Vatican Radio that the Pope’s actions helped highlight the needs of the elderly and disabled. Silvia Stefanoni says she received the news of Pope Francis’s choice to celebrate the day meeting this particular group of people who are often excluded or hidden from society with delight: “I think he himself said that society tends to hide fragility – I think he said physical fragility, but of course it also mental fragility”. The gesture – she says – will bring to light the issues that society needs to address in terms of ensuring that all people with some form of disadvantage or vulnerability are not “hidden” away but are brought into society where they can actively participate – whatever their conditions may be. Stefanoni says she thinks that if this event resonates through the media “it will illustrate the difficulties that people in later life, when issues of disability and sometimes issues like alzheimers, dementia etc, create a special situation that needs to be addressed”. People should be given the possibility to make decisions regarding how they want to be supported and conduct their lives, how they want to be cared for she said. “So it is giving a voice, its showing respect for their dignity” highlighting the fact that care must be provided with these values in mind. Stefanoni says that we know very well when these situations are hidden “situations of potential abuse and violence do emerge, and we know very well that this does not only happen in institutions but also within the family”.